What is an Organic Chemist? A chemist's required supplies may include beakers and filters. Organic chemists study carbon-based compounds. An organic chemist is a scientist who researches the structures, properties, and synthesis of molecular compounds that contain carbon. 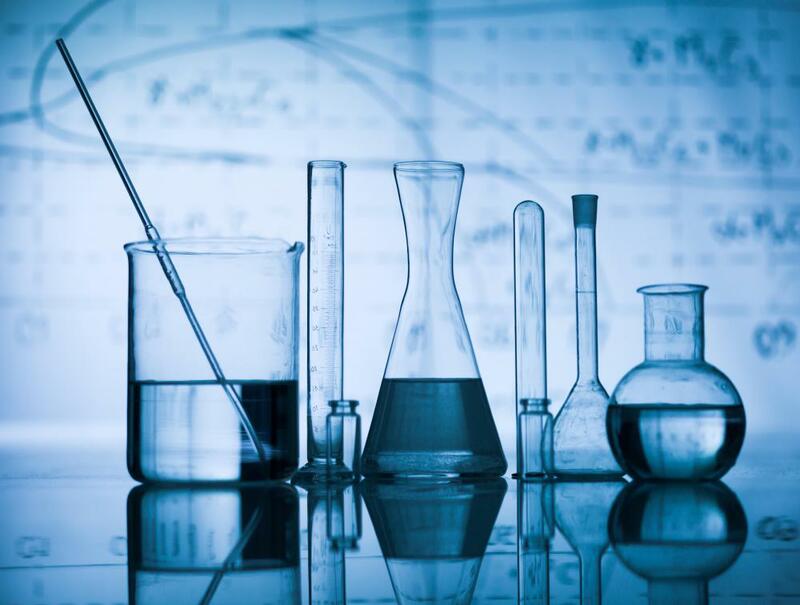 Many chemists conduct experimental studies at universities and private labs to learn more about the biological relevance of such compounds, while others apply their knowledge to the research and development of new plastics, fuels, and pharmaceuticals. The work of organic chemists is indispensable to progress in industry and health care and to the general understanding of life itself. Organic chemistry is a complex, constantly evolving field of study that requires rigorous attention to detail and familiarity with a vast amount of previous research. Scientists follow established scientific methods and a universal code of ethics to conduct objective, meaningful research on topics related to organic compounds. Experiments are carefully designed and performed to discover new chemical properties and expand upon earlier findings. Once experiments are completed, organic chemists record their results in detailed papers and journals so they can be reviewed by other experts. An organic chemist who works in the research and development branch of a pharmaceutical company, biotechnology firm, or product manufacturing plant focuses on the practical applications of organic compounds. Scientists work to create new compounds or tweak existing ones to create more useful products. An organic chemist who works at a plastics manufacturing plant, for example, may wish to develop a strong, lightweight food container that can withstand high levels of heat. He or she would first investigate existing plastics to understand their chemical makeup, determine where improvements may be possible, and experiment with different polymers to create a new product with the desired properties. Chemists in both applied and general research settings employ a number of sophisticated instruments and techniques in their work. An organic chemist often utilizes basic equipment such as beakers, burners, flasks, and thermometers on a daily basis. He or she may also use precision, computerized devices such as infrared spectrometers and gas chromatography systems. Organic chemists take care to ensure their equipment is well maintained and up-to-date to ensure accurate experimental results. A person who wants to become an organic chemist usually needs an advanced degree in the subject from an accredited university or college. 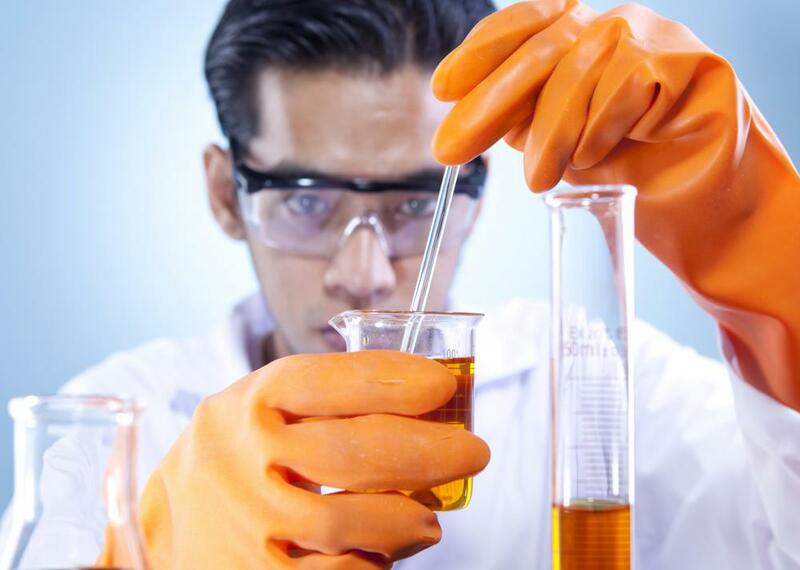 A master's degree is sufficient for most research and development positions, but a scientist who wants to design and conduct independent studies usually needs to obtain a Ph.D. New organic chemists typically begin their careers as assistants or associate researchers to gain practical experience in the field. With time and consistent success, a scientist can become a lead researcher or lab supervisor. Many established organic chemists decide to teach advanced courses either full- or part-time at universities to help prepare new scientists for their eventual careers. What Are the Differences between Beakers and Flasks? How Do I Choose the Best Plastic Beakers? What Are the Properties of Organic Compounds? What Is a Polymer Chemist? How do I Become a Medicinal Chemist? What is a Medicinal Chemist? How do I Become a Polymer Chemist? I heard that there is a huge job market for organic chemists. I think that's because practically every industry needs organic chemists right? There are so many biotechnology companies in the US and I'm sure their research mainly depends on organic chemists. And that's just one industry. It looks like, no matter how the economy goes, organic chemists won't have any problems finding jobs. I want to be an organic chemist. I definitely want to study and work in chemistry and I think that organic chemistry is the most exciting field for chemists. Organic chemists improve our lives and our standard of living. They can find molecules that no one has found before and put them to use in some sort of technology or medication. What could be more exciting that this? I know it's going to be a lot of work, especially if I want to work up to a PhD level and carry our my own experiments. But I think it's going to be worth it. My brother is a "synthetic organic chemist". This title always baffles me. He works for a pharmaceutical company. When I ask him what he does at work, he tells me that basically, he takes simple molecules and makes them more complicated. He says that when they are able to do this, they can make medicines much more cheaply and easily and the company will save money. I'm still not sure what this means.